If you have been reading This Girl’s Life Blog for a minute then you already know that one of my favorite crafts is creating popsicle stick crafts for kids. 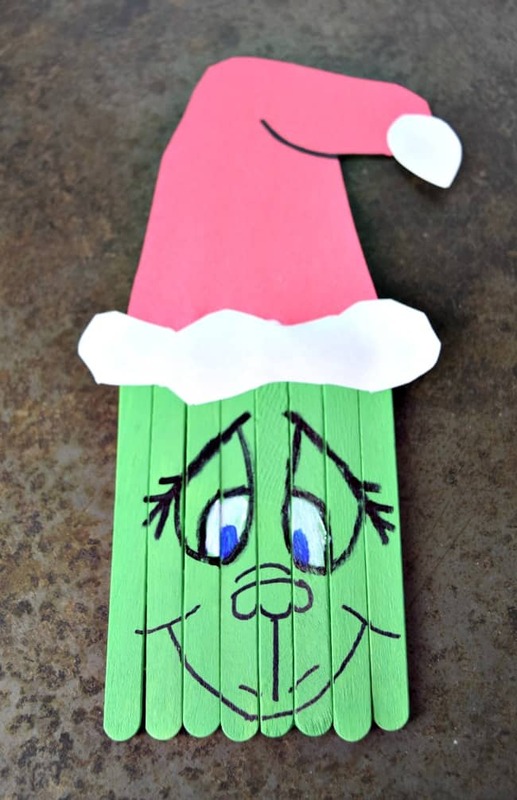 This year is no exception and I have a really cute Popsicle Stick Grinch for you. 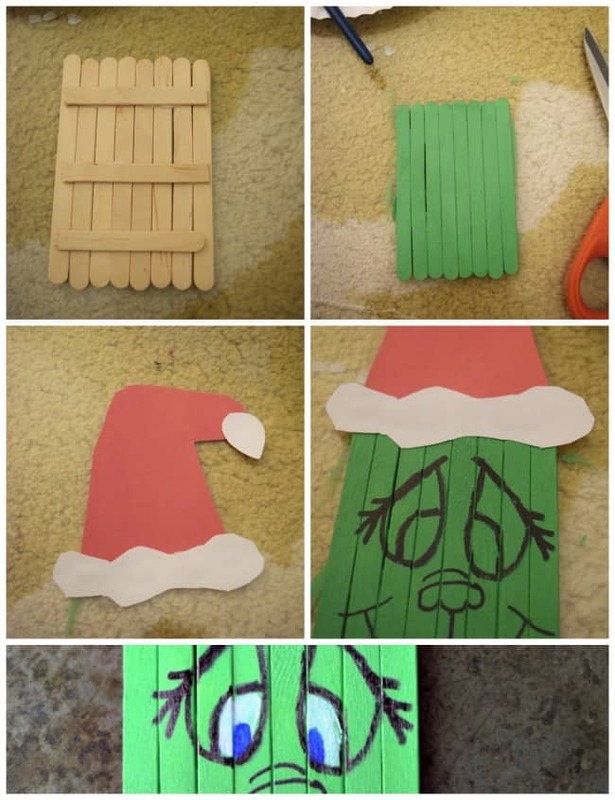 Read along to the classic How the Grinch Stole Christmas book or watch the classic short film all while sharing this little craft with your kids. Start off by using 3 popsicle sticks cut down to support the back of the other 8. I have used cardstock in the past and it works but I have found that supporting with craft sticks works a little better. Once the glue is dry you can flip over the craft and paint the entire front a grinchy green, very technical color. Haha! Using your red and white construction paper cut out the Santa hat and glue the white pieces onto the red. This doesn’t have to be perfect as the Grinch didn’t cut out his fabric hat perfect either. Now take a little craft glue to attach the hat and using a black sharpie draw on the Grinch’s face. We chose to use a happy Grinch. As this little guys, the heart just grew. Finish up your Grinch with some white and blue in the eyes and to add a little dimension to the hat with a sharpie. Finally, if you want to turn him into a magnet I recommend a .75 inch adhesive magnet to hold it up. You could also attach some ribbon and turn him into a ornament. 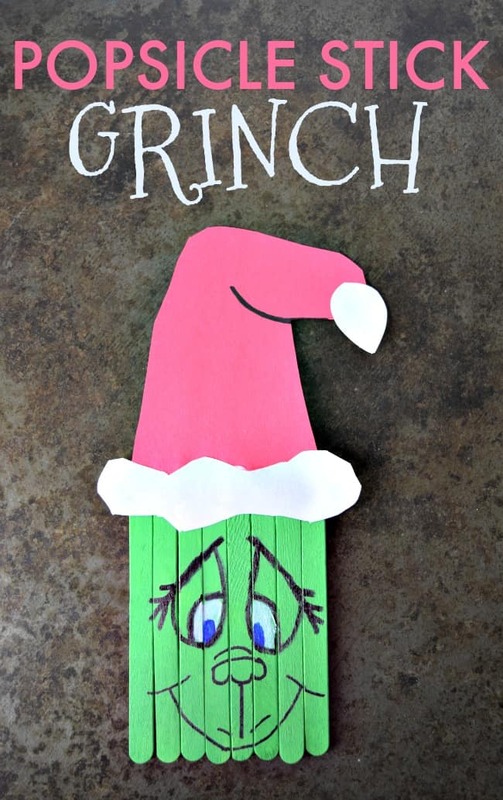 If you love this Popsicle Stick Grinch craft then I have some more fun Christmas ones you should see too. Winter Hair Care for Healthy Hair and Scalp!